One of the perks of this job is discovering new wines that maybe aren’t well-known or don’t get a lot of attention in the press. These eight wines are fairly eclectic, and probably not on most wine lovers’ radar screens. I hope you’ll try them; you’d be crazy not to. Soave, which is the most mass-produced wine of the Veneto region of Italy, is too often little more than grape-flavored water. That’s not true, thankfully, of Suavia Soave Classico 2009 ($15.99), which has a somewhat elegant structure and good acidity, along with a mineral underpinning. 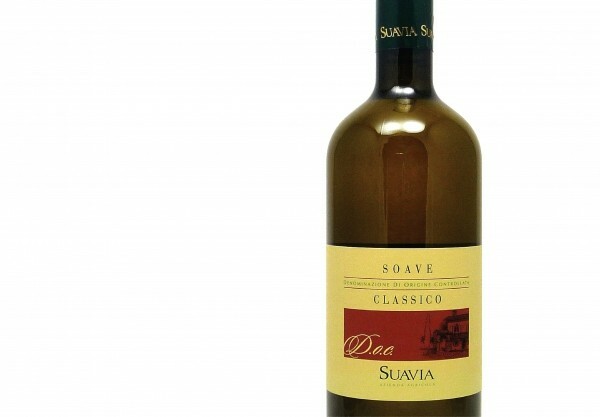 Made of 95 percent Garganega and 5 percent Trebbiano di Soave, the Suavia has green-apple and grapefruit flavors and would taste terrific with a risotto of shrimp and summer peas. Another wonderful white I’ve recently become quite enamored of is Le Cirque Grenache Gris 2010 ($12.99), a French, unoaked, floral white wine with aromatic notes of honeysuckle. The wine is aged in stainless steel, with no malolactic fermentation, so don’t go looking for the oaky, creamy flavors or texture that you might associate with Chardonnay. I taste ripe melons, some pineapple and white peach on the palate. If you’re really paying attention, you might notice a little green tang at the end of a sip. There’s a hint of something that tastes like charred Anaheim pepper in the finish. This would be a great seafood partner. Frankly, I haven’t found many South African white wines that I love. But, priced at a mere $8.99, Two Oceans Pinot Grigio 2011 from the Western Cape gives a good bang for the buck. It’s a fruity wine, with peachy aromas and flavors of apricot and lychee. I’d try it with roasted chicken, light salads and seafood. Marques de Casa Concha Cabernet Sauvignon 2008 ($20.49) comes from the Puente Alto region in Chile. It’s a surprisingly complex (for the price) Cab with concentrated fruit: black cherry, currants and blueberry flavors, and tangy acidity. I enjoyed it with a simple grilled burger. It’s back to France for Chateau Damase Bordeaux Supérieur 2008 ($14.99). For that price, you don’t expect Pétrus, but this is damned good Merlot, with a little Cab Franc, Petit Verdot and CarmenÃ¨re thrown in. I love the softness and subtlety of this wine, with hints of truffle on the nose. It’s really nice to sip with a charcuterie plate: pÃ¢té, rillettes and the like. Another appealing French red is M. Chapoutier Belleruche CÃ´tes du RhÃ´ne 2009 ($12.99). This 80/20 Grenache/Syrah blend is a beauty! Pull the cork and you’ll find hints of strawberry and raspberries, along with pepper. Taste it and you’ll be amazed at its roundness. There are blackberry flavors, hints of smoke and cedar, good acidity and subtle vanilla undertones. This bad boy is big, spicy and should be a perfect foil for meats off the grill. By the way, it’s biodynamically produced, as well. Let’s finish up with a couple more whites. One of my favorite finds this past year is Bump Sauvignon Blanc 2010 ($16.99), from Sonoma. It has a wonderfully fleshy mouthfeel—more body than expected with Sauvignon Blanc—and yet it’s crisp and bone-dry, with rich tropical-fruit flavors and pretty, tropical aromas. There is 5 percent Chardonnay added to 95 percent Sauvignon Blanc Musque grapes, which helps lend a bit more body and roundness to the wine. Finally, for a mini-splurge I highly recommend Tablas Creek Cotes Blanc 2010 ($23.99). This is America’s ChÃ¢teauneuf-du-Pape Blanc, a gorgeous blend of Viognier, Grenache Blanc, Roussanne and Marsanne. Bright and floral, with lovely white-fruit flavors ... did I use the word gorgeous yet?